Designer Zebra Scissors & Rotary Cutter Set has not been rated yet. 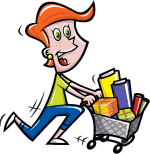 With this item you will earn 119.97 Points in Homespun Rewards! 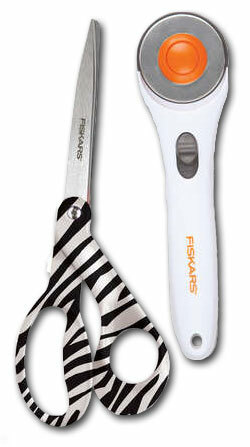 Liven up your sewing room with this Zebra 8" Designer bent scissors and right/left handed rotary cutter set. This fiskars set has a Lifetime Warranty and can cut anything from silk to denim. 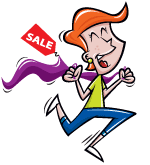 Scheduled to ship 1st week in May - order yours today!